AUDI S3. Excellent performance and a superior drive is what this German hatchback has to offer. 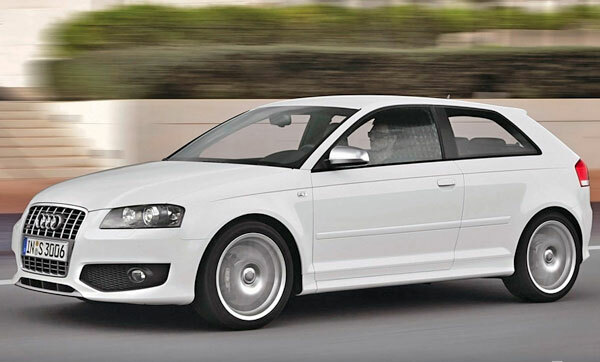 Audi S3 is well known for its excellent performance and a superior drive. It looks good from outside, feels luxurious from inside and is also very practical. It’s handling characteristics are materially better compared to its rivals. Can a hot hatch from a premium manufacturer such as Audi be worth that much money?. Audi S3 has one of the superior interiors in the hatchback category. The cabin materials feel solid with leather seats made of quality materials. With the sporty hatchbacks, drivers need not compromise on space and so does the S3. It is even more spacious. The boot capacity ranges from 302 liters to 1032 liters if rear seats are folded. The engine and Quattro four-wheel drive system are well proven. It is a very punchy car which offers most of its power from low down in the rev range and pushes you back into its seats until the next gear is needed. The Quattro four wheel drive system, electronic driving aids and sports suspension helps in driving smoothly and swiftly. The Audi S3 Sportback feels less involving and direct but incredibly stable and grippy. It has the ability to cover ground surface faster without any objection. The Audi S3 had undergone a major revision. The changes included a added one-piece headlights, changed front wings and some minor upgrades to interior trim and rear. There were minor design changes before this transformation which also included digital clock on the dashboard. One of the major reasons buyers would hesitate to buy S3 is because of its high price range. Some would still prefer the Vauxhall Cars over S3 mainly because of its cost. The S3 doesn’t really put a foot wrong on any surface. It’s also giving comfortable ride for its drivers. There is a substantial depth of superiority that goes some way in justifying the high price. What else can one ask for?